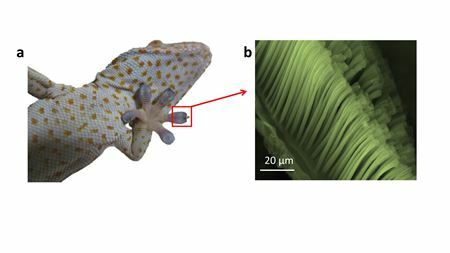 Micromanipulator based on graphene and polymers mimics the extraordinary ability of gecko's feet to grip any surface and self-clean. Scientists have created carbon anodes for lithium-ion batteries from pollen. Engineers have developed a way to convert paper waste into cellulose aerogels that are non-toxic, ultralight, absorbent and extremely strong. A new polyester-based, biodegradable material with built-in vitamin A can reduce scarring in blood vessels. Professor Markus Beuhler appointed as EiC of JMBBM.